Do you know the name of this child? A black and white large format negative of the Gosgrove child taken on May 27, 1947. The negative envelope indicates that the picture was taken at the Spruce Villa Hotel in Whitby, Ontario. 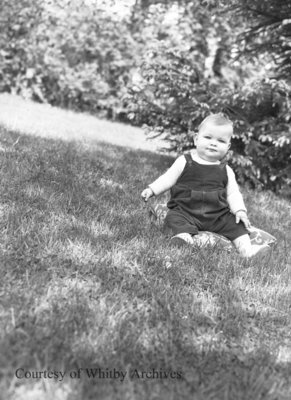 Gosgrove Child, May 27, 1948, Marjorie Ruddy. Whitby Archives A2013_040_524.